The human gastrointestinal tract houses the major components of the endocannabinoid system, including cannabis binding CB1 and CB2 receptors. So, it’s easy to understand the tremendous support & value suppositories offer, especially when supporting your issues. 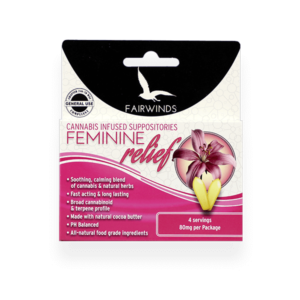 The suppositories are individually packaged, easy to use, quick to absorb, fast acting and are not designed to provide a psychoactive effect. The CBD, THCA & THC cannabinoid ratio and terpene profile are optimized to support you in the ways you need it most. 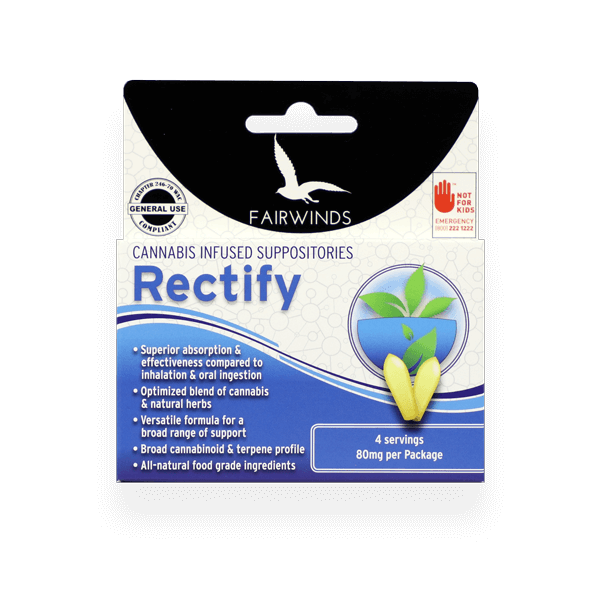 Rectify utilizes only all natural ingredients including organic cocoa butter, sustainably farmed Shea butter, cannabis oil extracted from flower, and natural herbs chosen for their synergistic relationship with cannabis. Purified organic oil blend (Cocoa, Shea Butter, Sunflower Lecithin), Optimized Indica Cannabis Oil, Herbal Extract blend: (Boswellia, Berberine, peony root). – Open the suppository by peeling apart the plastic wrapper. It is always best to open each wrapper over a clean surface in case the suppository falls out as you are peeling. – Gently insert the suppository length-wise with the rounded end first using your index finger or applicator. [Note] Rectify has a melting temperature of 96° F and begins to soften and absorb within 5 minutes on average. If the suppository has been exposed to heat, it can be placed in a refrigerator, freezer or run under cold water to quickly harden.